Dunmore East is a picturesque fishing village at a very convenient location of the southern coast. Whether heading East West or North, Dunmore East will never get you too far of your track. 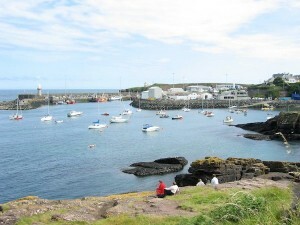 Although primarily a fishing port Dunmore East now also offers facilities to visiting yachts. Pontoons are available in the harbour for visiting yachts and the club will help with possible swing moorings. Prior to arrival contact the Harbour Master Harry McLoughlin on +353(0)87 7931705 or VHF channel 12 or 16 alternatively E-mail Harold.McLoughlin@agriculture.gov.ie in advance of your visit. For serviced swing mooring contact Rene at 087-2199570 or E-mail Rene@emeraldcargo.ie . Costs Euro 15 per night..
Our clubhouse with it’s magnificent views is welcoming you with open arms for drinks and food. Come and join us ! See the WHSC contact details. FUEL From Waterford Harbour Sailing Club. WATER Water is available at the pontoon at East pier. ELECTRICITY 220 V from the Services Facilities at the East pier and pontoon. Voucher cards €5.00 from Harbour office. WASTE DISPOSAL Dunmore East has waste disposal and recycling facilities available Please contact Harbour Master. HARBOUR CHARGES Please see the list of charges available in the Harbour Office. Dublin Airport is approximately 200km (2 hours drive) from Dunmore East. Cork Airport is approximately 150km (2 hours drive) from Dunmore East. 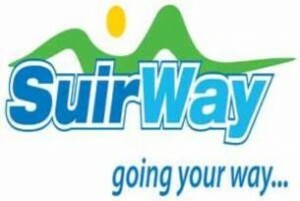 From Dunmore East there is a regular Suirway bus service that connects with Waterford City. This bus service gives access to the intercity bus service to Cork , limerick, Shannon and Dublin.